The red marked numbers in the screenshot are the USB Vendor and Product ID. Make a right click onto ‘This PC’ and select ‘Manage’. In the ‘Computer Management’ select ‘Device Manager’. 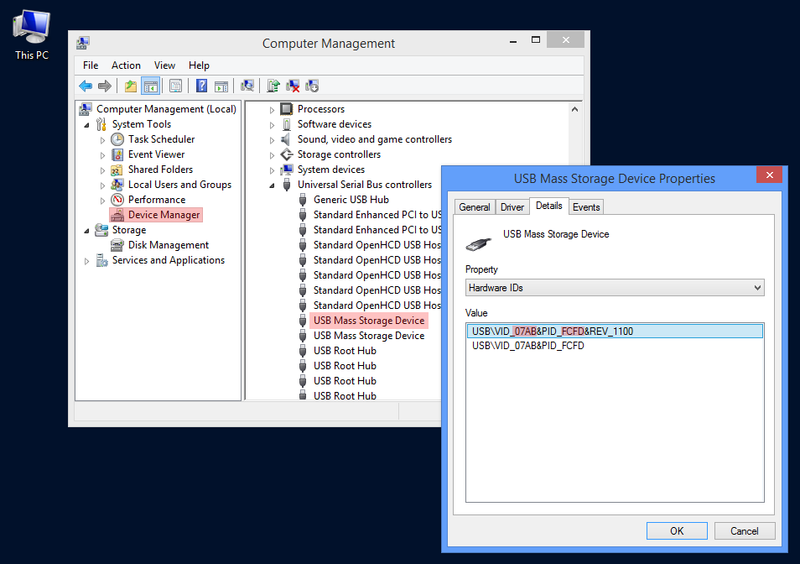 Expand ‘Universal Serial Bus controllers’ and make a double click onto your USB device. Select ‘Details’ tab and select ‘Hardware IDs’.